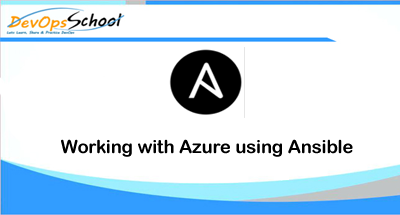 Ansible includes a suite of modules for interacting with “Azure Resource Manager”, giving you the tools to easily create and orchestrate infrastructure on the Microsoft Azure Cloud. Note – You can also directly run Ansible in Azure Cloud Shell, where Ansible is pre-installed. Secret key – Your Secret key, generated when you created the application. You cannot show the key after creation. If you lost the key, you must create a new one in the “Configure” page of your application. tenant ID – And finally, a tenant ID. It’s a UUID (e.g. ABCDEFGH-1234-ABCD-1234-ABCDEFGHIJKL) pointing to the AD containing your application. You will find it in the URL from within the Azure portal, or in the “view endpoints” of any given URL.